The same feeling of not belonging, of futility, wherever I go: I pretend interest in what matters nothing to me, I bestir myself mechanically or out of charity, without ever being caught up, without ever being somewhere. What attracts me is elsewhere, and I don't know where that elsewhere is. 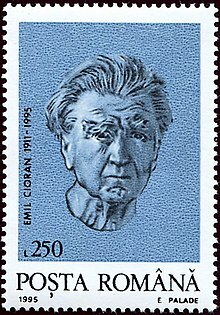 Emil Cioran (8 April 1911 – 20 June 1995) was a Romanian philosopher and essayist whose work is noted for its pervasive philosophical pessimism, which frequently engages with issues of suffering, decay, and nihilism. I don't need any support, advice, or compassion, because even if I am the most ruinous man, I still feel so powerful, so strong and fierce. For I am the only one that lives without hope. Haven't people learned yet that the time of superficial intellectual games is over, that agony is infinitely more important than syllogism, that a cry of despair is more revealing than the most subtle thought, and that tears always have deeper roots than smiles? Tears do not burn except in solitude. If there was a God of sorrow, he would grow black heavy wings, to soar not for the skies, but for inferno. I don't understand why we must do things in this world, why we must have friends and aspirations, hopes and dreams. Wouldn't it be better to retreat to a faraway corner of the world, where all its noise and complications would be heard no more? Then we could renounce culture and ambitions; we would lose everything and gain nothing; for what is there to be gained from this world? We are so lonely in life that we must ask ourselves if the loneliness of dying is not a symbol of our human existence. If I were to be totally sincere, I would say that I do not know why I live and why I do not stop living. The answer probably lies in the irrational character of life which maintains itself without reason. How important can it be that I suffer and think? My presence in this world will disturb a few tranquil lives and will unsettle the unconscious and pleasant naiveté of others. Although I feel that my tragedy is the greatest in history — greater than the fall of empires — I am nevertheless aware of my total insignificance. I am absolutely persuaded that I am nothing in this universe; yet I feel that mine is the only real existence. I would like to go mad on one condition, namely, that I would become a happy madman, lively and always in a good mood, without any troubles and obsessions, laughing senselessly from morning to night. The premonition of madness is complicated by the fear of lucidity in madness, the fear of the moments of return and reunion, when the intuition of disaster is so painful that it almost provokes a greater madness [...] One would welcome chaos if one were not afraid of lights in it. Only those are happy who never think or, rather, who only think about life's bare necessities, and to think about such things means not to think at all. True thinking resembles a demon who muddies the spring of life or a sickness which corrupts its roots. To think all the time, to raise questions, to doubt your own destiny, to feel the weariness of living, to be worn out to the point of exhaustion by thoughts and life, to leave behind you, as symbols of your life's drama, a trail of smoke and blood — all this means you are so unhappy that reflection and thinking appear as a curse causing a violent revulsion in you. There are no arguments. Can anyone who has reached the limit bother with arguments, causes, effects, moral considerations, and so forth? Of course not. For such a person there are only unmotivated motives for living. On the heights of despair, the passion for the absurd is the only thing that can still throw a demonic light on chaos. When all the current reasons — moral, esthetic, religious, social, and so on — no longer guide one's life, how can one sustain life without succumbing to nothingness? Only by a connection with the absurd, by love of absolute uselessness, loving something which does not have substance but which simulates an illusion of life. I live because the mountains do not laugh and the worms do not sing. Great joys, why do they bring us sadness? Because there remains from these excesses only a feeling of irrevocable loss and desertion which reaches a high degree of negative intensity. At such moments, instead of a gain, one keenly feels loss. sadness accompanies all those events in which life expends itself. its intensity is equal to its loss. Thus death causes the greatest sadness. To tell the truth, I couldn't care less about the relativity of knowledge, simply because the world does not deserve to be known. One of the biggest paradoxes of our world: memories vanish when we want to remember, but fix themselves permanently in the mind when we want to forget. Compared to the refined culture of sclerotic forms and frames, which mask everything, the lyrical mode is utterly barbarian in its expression. Its value resides precisely in its savage quality: it is only blood, sincerity, and fire. Everything is possible, and yet nothing is. All is permitted, and yet again, nothing. No matter which way we go, it is no better than any other. It is all the same whether you achieve something or not, have faith or not, just as it's all the same whether you cry or remain silent. There is an explanation for everything, and yet there is none. Everything is both real and unreal, normal and absurd, splendid and insipid. There is nothing worth more than anything else, nor any idea better than any other. Why grow sad from one's sadness and delight in one's joy? What does it matter whether our tears come from pleasure or pain? Love your unhappiness and hate your happiness, mix everything up, scramble it all! Be a snowflake dancing in the air, a flower floating downstream! Have courage when you don't need to, and be a coward when you must be brave! Who knows? You may still be a winner! And if you lose, does it really matter? Is there anything to win in this world? All gain is loss, all loss is gain. Why always expect a definite stance, clear ideas, meaningful words? I feel as if I should spout fire in response to all the questions which were ever put, or not put, to me. As far as I am concerned, I resign from humanity. I no longer want to be, nor can still be, a man. What should I do? Work for a social and political system, make a girl miserable? Hunt for weaknesses in philosophical systems, fight for moral and aesthetic ideals? It's all too little. I renounce my humanity even though I may find myself alone. But am I not already alone in this world from which I no longer expect anything? No one should forget: Eros alone can fulfill life; knowledge, never. Only Eros makes sense; knowledge is empty infinity; — for thoughts, there is always time; life has its time; there is no thought that comes too late; any desire can become a regret. Everyone must destroy their life. According to the way they do it, they're either triumphants or failures. The reaction against your own thought in itself lends life to thought. How this reaction is born is hard to describe, because it identifies with the very rare intellectual tragedies. — The tension, the degree and level of intensity of a thought proceeds from its internal antinomies, which in turn are derived from the unsolvable contradictions of a soul. Thought cannot solve the contradictions of the soul. As far as linear thinking is concerned, thoughts mirror themselves in other thoughts, instead of mirroring a destiny. I don't understand how people can believe in God, even when I myself think of him everyday. The fear of your own solitude, of its vast surface and its infinity… Remorse is the voice of solitude. And what does this whispering voice say? Everything in us that is not human anymore. All philosophers should end their days at Pythia's feet. There is only one philosophy, that of unique moments. Detachment from the world as an attachment to the ego… Who can realize the detachment in which you are as far away from yourself as you are from the world? Only thoughts that are randomly born die. The other thoughts we carry with us without knowing them. They have abandoned themselves to forgetfulness so that they can be with us all the time. This world was created from God's fear of solitude. In other words, us, the creatures, have no other meaning but to distract the Creator. Poor clowns of the absolute, we forget that we live dramas for the boredom of a spectator, whose claps have never reached the ears of a mortal. Sadness makes you God's prisoner. Read day and night, devour books — these sleeping pills — not to know but to forget! Through books you can retrace your way back to the origins of spleen, discarding history and its illusions. Good health is the best weapon against religion. Healthy bodies and healthy minds have never been shaken by religious fears. Death makes no sense except to people who have passionately loved life. How can one die without having something to part from? Detachment is a negation of both life and death. Whoever has overcome his fear of death has also triumphed over life. For life is nothing but another word for this fear. If truth were not boring, science would have done away with God long ago. But God as well as the saints is a means to escape the dull banality of truth. Someday the old shack we call the world will fall apart. How, we don't know, and we don't really care either. Since nothing has real substance, and life is a twirl in the void, its beginning and its end are meaningless. The initial revelation of any monastery: everything is nothing. Thus begin all mysticisms. It is less than one step from nothing to God, for God is the positive expression of nothingness. The more one is obsessed with God, the less one is innocent. Nobody bothered about him in paradise. The fall brought about this divine torture. It's not possible to be conscious of divinity without guilt. Thus God is rarely to be found in an innocent soul. A harmonious being cannot believe in God. Saints, criminals, and paupers have launched him, making him available to all unhappy people. The poor maidservant who used to say that she only believed in God when she had a toothache puts all theologians to shame. All that is Life in me urges me to give up God. Love of the absolute engenders a predilection for self-destruction. Hence the passion for monasteries and brothels. Cells and women, in both cases. Weariness with life fares well in the shadow of whores and saintly women. Heroes abound at the dawn of civilizations, during pre-Homeric and Gothic epochs, when people, not having yet experienced spiritual torture, satisfy their thirst for renunciation through a derivative: heroism. To fear is to die every minute. From the cradle to the grave, each individual pays for the sin of not being God. That's why life is an uninterrupted religious crisis, superficial for believers, shattering for doubters. Life is not, and death is a dream. Suffering has invented them both as self-justification. Man alone is torn between an unreality and an illusion. Scaffolds, dungeons, jails flourish only in the shadow of a faith — of that need to believe which has infested the mind forever. The devil pales beside the man who owns a truth, his truth. We are unfair to a Nero, a Tiberius: it was not they who invented the concept heretic: they were only degenerate dreamers who happened to be entertained by massacres. The real criminals are men who establish an orthodoxy on the religious or political level, men who distinguish between the faithful and the schismatic. Born in a prison, with burdens on our shoulders and our thoughts, we could not reach the end of a single day if the possibilities of ending it all did not incite us to begin the next day all over again. No one has the audacity to exclaim: "I don't want to do anything!" — we are more indulgent with a murderer than with a mind emancipated from actions. Nothing surpasses the pleasures of idleness: even if the end of the world were to come, I would not leave my bed at an ungodly hour. We replace God as best we can; for every god is good, provided he perpetuates in eternity our desire for a crucial solitude. . . .
Ideas should be neutral. But man animates them with his passions and folly. Impure and turned into beliefs, they take on the appearance of reality. The passage from logic is consummated. Thus are born ideologies, doctrines, and bloody farce. Once man loses his faculty of indifference he becomes a potential murderer; once he transforms his idea into a god the consequences are incalculable. We kill only in the name of a god or of his counterfeits: the excesses provoked by the goddess Reason, by the concept of nation, class, or race are akin to those of the Inquisition or of the Reformation. The notion of nothingness is not characteristic of laboring humanity: those who toil have neither time nor inclination to weigh their dust; they resign themselves to the difficulties or the doltishness of fate; they hope: hope is a slave's virtue. His power to adore is responsible for all his crimes: a man who loves a god unduly forces other men to love his god, eager to exterminate them if they refuse. By capitulating to life, this world has betrayed nothingness. . . . I resign from movement, and from my dreams. Absence! You shall be my sole glory. . . . Let "desire" be forever stricken from the dictionary, and from the soul! I retreat before the dizzying farce of tomorrows. And if I still cling to a few hopes, I have lost forever the faculty of hoping. Lord, give me the capacity of never praying, spare me the insanity of all worship, let this temptation of love pass from me which would deliver me forever unto You. Let the void spread between my heart and heaven! I have no desire to people my deserts by Your presence, to tyrannize my nights by Your light, to dissolve my Siberias beneath Your sun. But where is the antidote for lucid despair, perfectly articulated, proud, and sure? All of us are miserable, but how many know it? The consciousness of misery is too serious a disease to figure in an arithmetic of agonies or in the catalogues of the Incurable. It belittles the prestige of hell, and converts the slaughterhouses of time into idyls. What sin have you committed to be born, what crime to exist? Your suffering like your fate is without motive. To suffer, truly to suffer, is to accept the invasion of ills without the excuse of causality, as a favor of demented nature, as a negative miracle. . . Since it is difficult to approve the reasons people invoke, each time we leave one of our 'fellow men', the question which comes to mind is invariably the same: how does he keep from killing himself? I feel safer with a Pyrrho than with a St. Paul, for a jesting wisdom is gentler than an unbridled sanctity. But, braggart demons, we postpone our end: how could we renounce the display of our freedom, the show of our pride? 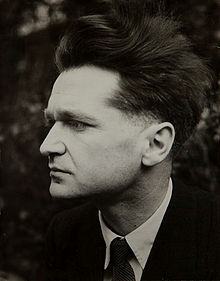 This is how I recognize an authentic poet: by frequenting him, living a long time in the intimacy of his work, something changes in myself, not so much my inclinations or my tastes as my very blood, as if a subtle disease had been injected to alter its course, its density and nature. To live around a true poet is to feel your blood run thin, to dream a paradise of anemia, and to hear, in your veins, the rustle of tears. Even when he turns from religion, man remains subject to it; depleting himself to create false gods, he then feverishly adopts them; his need for fiction, for mythology triumphs over evidence and absurdity alike. Each of us is born with a share of purity, predestined to be corrupted by our commerce with mankind, by that sin against solitude. So long as man is protected by madness he functions and flourishes, but when he frees himself from the fruitful tyranny of fixed ideas, he is lost, ruined. You are forgiven everything provided you have a trade, a subtitle to your name, a seal on your nothingness. Try to be free: you will die of hunger. I find in myself as much evil as in anyone, but detesting action — mother of all vices — I am the cause of no one's suffering. History shows that the thinkers who mounted on the top of the ladder of questions, who set their foot on the last rung, that of the absurd, have bequeathed to posterity only an example of sterility. Nothing is indefensible — from the absurdest proposition to the most monstrous crime. I dream of wanting — and all I want seems to me worthless. I thought that the only action a man could perform without shame was to take his life; that he had no right to diminish himself in the succession of days and the inertic of misery. No elect, I kept telling myself, but those who committed suicide. As incompetent in life as in death, I loathe myself and in this loathing I dream of another life, another death. And for having sought to be a sage such as never was, I am only a madman among the mad. "I am like a broken puppet whose eyes have fallen inside." This remark of a mental patient weighs more heavily than a whole stack of works on introspection. Death poses a problem which replaces all the others. What is deadly to philosophy, to the naive belief in the hierarchy of perplexities. Not content with real sufferings, the anxious man imposes imaginary ones on himself; he is a being for whom unreality exists, must exist; otherwise where would he obtain the ration of torment his nature demands? Whether or not there exists a solution to problems troubles only a minority; that the emotions have no outcome, lead to nothing, vanish into themselves — that is the great unconscious drama, the affective insolubility everyone suffers without even thinking about it. We suffer: the external world begins to exist . . . ; we suffer to excess: it vanishes. Pain instigates the world only to unmask its unreality. Philosophy's error is to be too endurable. Sooner or later, each desire must encounter its lassitude: its truth . . . Awareness of time: assault on time . . . Thanks to depression — that alpinism of the indolent — we scale every summit and daydream over every precipice from our bed. The skepticism which fails to contribute to the ruin of our health is merely an intellectual exercise. You have dreamed of setting the world ablaze, and you have not even managed to communicate your fire to words, to light up a single one! However intimate we may be with the operations of the mind, we cannot think more than two or three minutes a day; — unless, by taste or by profession, we practice, for hours on end, brutalizing words in order to extract ideas from them. The intellectual represents the major disgrace, the culminating failure of Homo sapiens. Only the idiot is equipped to breathe. The refutation of suicide: is it not inelegant to abandon a world which has so willingly put itself at the service of our melancholy? The lover who kills himself for a girl has an experience which is more complete and much more profound than the hero who overturns the world. We always love . . . despite; and that "despite" covers an infinity. Anxiety — or the fanaticism of the worst. Without its assiduity to the ridiculous, would the human race have lasted more than a single generation? I believe in the salvation of humanity, in the future of cyanide . . .
"Where do you get those superior airs of yours?" "I've managed to survive, you see, all those nights when I wondered: am I going to kill myself at dawn?" Only optimists commit suicide, the optimists who can no longer be . . . optimists. The others, having no reason to live, why should they have any to die? On the frontiers of the self: "What I have suffered, what I am suffering, no one will ever know, not even I." Let us speak plainly: everything which keeps us from self-dissolution, every lie which protects us against our unbreathable certitudes is religious. The sphere of consciousness shrinks in action; no one who acts can lay claim to the universal, for to act is to cling to the properties of being at the expense of being itself, to form a reality to reality's detriment. If we would regain our freedom, we must shake off the burden of sensation, no longer react to the world by our senses, break our bonds. For all sensation is a bond, pleasure as much as pain, joy as much as misery. The only free mind is the one that, pure of all intimacy with beings or objects, plies its own vacuity. A minimum of unconsciousness is necessary if one wants to stay inside history. To act is one thing; to know one is acting is another. When lucidity invests the action, insinuates itself into it, action is undone, and with it, prejudice, whose function consists, precisely, in subordinating, in enslaving consciousness to action. The man who unmasks his fictions renounces his own resources and, in a sense, himself. Consequently, he will accept other fictions which will deny him, since they will not have cropped up from his own depths. No man concerned with his equilibrium may exceed a certain degree of lucidity and analysis. Pursued by our origins…we all are. If a man has not, by the time he is 30, yielded to the fascination of every form of extremism, I don't know if he is to be admired or scorned — a saint or a corpse. What every man who loves his country hopes for in his inmost heart: the suppression of half his compatriots. Glory — once achieved, what is it worth? It is an understatement to say that in this society injustices abound: in truth, it is itself the quintessence of injustice. Never to have occasion to take a position, to make up one's mind, or to define oneself — there is no wish I make more often. I seem to myself, among civilised men, an intruder, a troglodyte enamored of decrepitude, plunged into subversive prayers. The more intense a spiritual leader's appetite for power, the more he is concerned to limit it to others. Tragic paradox of freedom: the mediocre men who alone make its exercise possible cannot guarantee its duration. Tyranny is just what one can develop a taste for, since it so happens that man prefers to wallow in fear rather than to face the anguish of being himself. Word — that invisible dagger. Were we to undertake an exhaustive self-scrutiny, disgust would paralyze us, we would be doomed to a thankless existence. We are all secularised anarchists today. Love, a tacit agreement between two unhappy parties to overestimate each other. Creation is in fact a fault, man's famous sin thereby appearing as a minor version of a much graver one. What are we guilty of, except of having followed, more or less slavishly, the Creator's example? Easy to recognize in ourselves the fatality which was His: not for nothing have we issued from the hands of a wicked and woebegone god, a god accursed. It is difficult, it is impossible to believe that the Good Lord — "Our Father" — had a hand in the scandal of creation. Everything suggests that He took no part in it, that it proceeds from a god without scruples, a feculent god. Goodness does not create, lacking imagination; it takes imagination to put together a world, however botched. At the very least, there must be a mixture of good and evil in order to produce an action or a work. In order to conceive, and to steep ourselves in, unreality, we must have it constantly present to our minds. The day we feel it, see it, everything becomes unreal, except that unreality which alone makes existence tolerable. Always to have lived with the nostalgia to coincide with something, but not really knowing with what — it is easy to shift from unbelief to belief, or conversely. But what is there to convert to, and what is there to abjure, in a state of chronic lucidity? In theory, it matters little to me whether I live as whether I die; in practice, I am lacerated by every anxiety which opens an abyss between life and death. The flesh spreads, further and further, like a gangrene upon the surface of the globe. It cannot impose limits upon itself, it continues to be rife despite its rebuffs, it takes its defeats for conquests, it has never learned anything. It belongs above all to the realm of the Creator, and it is indeed in the flesh that He has projected His maleficent instincts. Facing a landscape annihilated by the light, to remain serene supposes a temper I do not have. The sun is my purveyor of black thoughts; and summer the season when I have always reconsidered my relations with this world and with myself, to the greatest prejudice of both. A man does not kill himself, as is commonly supposed, in a fit of madness but rather in a fit of unendurable lucidity, in a paroxysm which may, if so desired, be identified with madness; for an excessive perspicacity, carried to the limit and of which one longs to be rid at all costs, exceeds the context of reason. Why don't I kill myself? If I knew exactly what keeps me from doing so, I should have no more questions to ask myself since I should have answered them all. Only those moments count when the desire to remain by yourself is so powerful that you'd prefer to blow your brains out than to exchange a word with someone. Psychoanalysis will be entirely discredited one of these days, no doubt about it. Which will not keep it from destroying our last vestiges of naivete. After psychoanalysis, we can never again be innocent. To conceive a thought — just one, but one that would tear the universe to pieces. An anxious man constructs his terrors, then installs himself within them: a stay-at-home in a yawning chasm. The skeptic is the least mysterious man in the world, and yet, starting from a certain moment, he no longer belongs to this world. It is unjust to call imaginary the diseases which are, on the contrary, only too real, since they proceed from our mind, the only regulator of our equilibrium and our health. Skepticism is an exercise in defascination. What place do we occupy in the "universe"? A point, if that! Why reproach ourselves when we are evidently so insignificant? Once we make this observation, we grow calm at once: henceforth, no more bother, no more frenzy, metaphysical or otherwise. And then that point dilates, swells, substitutes itself for space. And everything begins all over again. The only subversive mind is the one that questions the obligation to exist; all the others, the anarchist at the top of the list, compromise with the established order. All my life, I have lived with the feeling that I have been kept from my true place. If the expression "metaphysical exile" had no meaning, my existence alone would afford it one. When people come to me saying they want to kill themselves, I tell them, "What's your rush? You can kill yourself any time you like. So calm down. Suicide is a positive act." And they do calm down. There was a time when time did not yet exist. … The rejection of birth is nothing but the nostalgia for this time before time. Having always lived in fear of being surprised by the worst, I have tried in every circumstance to get a head start, flinging myself into misfortune long before it occurred. I react like everyone else, even like those I most despise; but I make up for it by deploring every action I commit, good or bad. It has been a long time since philosophers have read men's souls. It is not their task, we are told. Perhaps. But we must not be surprised if they no longer matter much to us. To claim you are more detached, more alien to everything than anyone, and to be merely a fanatic of indifference! I have never taken myself for a being. A non-citizen, a marginal type, a nothing who exists only by the excess, by the superabundance of his nothingness. For a long time — always, in fact — I have known that life here on earth is not what I needed and that I wasn't able to deal with it; for this reason and for this reason alone, I have acquired a touch of spiritual pride, so that my existence seems to me the degradation and the erosion of a psalm. I am for the most part so convinced that everything is lacking in basis, consequence, justification, that if someone dared to contradict me, even the man I most admire, he would seem to me a charlatan or a fool. I get along quite well with someone only when he is at his lowest point and has neither the desire nor the strength to restore his habitual illusions. At this very moment, I am suffering — as we say in French, j'ai mal. This event, crucial for me, is nonexistent, even inconceivable for anyone else, for everyone else. Except for God, if that word can have a meaning. He detested objective truths, the burden of argument, sustained reasoning. He disliked demonstrating, he wanted to convince no one. Others are a dialectician's invention. Having destroyed all my connections, burned my bridges, I should feel a certain freedom, and in fact I do. One so intense I am afraid to rejoice in it. Even in childhood I watched the hours flow, independent of any reference, any action, any event, the disjunction of time from what was not itself, its autonomous existence, its special status, its empire, its tyranny. I remember quite clearly that afternoon when, for the first time, confronting the empty universe, I was no more than a passage of moments reluctant to go on playing their proper parts. Time was coming unstuck from being — at my expense. The real, the unique misfortune: to see the light of day. A disaster which dates back to aggressiveness, to the seed of expansion and rage within origins, to the tendency to the worst which first shook them up. I was walking late one night along a tree-lined path; a chestnut fell at my feet. The noise it made as it burst, the resonance it provoked in me, and an upheaval out of all proportion to this insignificant event thrust me into miracle, into the rapture of the definitive, as if there were no more questions — only answers. I was drunk on a thousand unexpected discoveries, none of which I could make use of. This is how I nearly reached the Supreme. But instead I went on with my walk. I do not forgive myself for being born. It is as if, creeping into this world, I had profaned a mystery, betrayed some momentous pledge, committed a fault of nameless gravity. Yet in a less assured mood, birth seems a calamity I would be miserable not having known. I know that my birth is fortuitous, a laughable accident, and yet, as soon as I forget myself, I behave as if it were a capital event, indispensable to the progress and equilibrium of the world. I long to be free — desperately free. Free as the stillborn are free. Once we reject lyricism, to blacken a page becomes an ordeal: what's the use of writing in order to say exactly what we had to say? Though we may prefer ourselves to the universe, we nonetheless loathe ourselves much more than we suspect. If the wise man is so rare a phenomenon, it is because he seems unshaken by the aversion which, like all beings, he must feel for himself. I think of so many people who are no more, and I pity them. Yet they are not so much to be pitied, for they have solved every problem, beginning with the problem of death. We say: he has no talent, only tone. But tone is precisely what cannot be invented — we're born with it. Tone is an inherited grace, the privilege some of us have of making our organic pulsations felt — tone is more than talent, it is its essence. We do not rush toward death, we flee the catastrophe of birth, survivors struggling to forget it. Fear of death is merely the projection into the future of a fear which dates back to our first moment of life. We are reluctant, of course, to treat birth as a scourge: has it not been inculcated as the sovereign good — have we not been told that the worst came at the end, not at the outset of our lives? Yet evil, the real evil, is behind, not ahead of us. What escaped Jesus did not escape Buddha: "If three things did not exist in the world, O disciples, the Perfect One would not appear in the world. …" And ahead of old age and death he places the fact of birth, source of every infirmity, every disaster. Without the faculty of forgetting, our past would weigh so heavily on our present that we should not have the strength to confront another moment, still less to live through it. Life would be bearable only to frivolous natures, those in fact who do not remember. If we could sleep twenty-four hours a day, we would soon return to the primordial slime, the beatitude of that perfect torpor before Genesis-the dream of every consciousness sick of itself. It is trifling to believe in what you do or in what others do. You should avoid simulacra and even "realities"; you should take up a position external to everything and everyone, drive off or grind down your appetites, live, according to a Hindu adage, with as few desires as a "solitary elephant. The only thing the young should be taught is that there is virtually nothing to be hoped for from life. One dreams of a Catalogue of Disappointments which would include all the disillusionments reserved for each and every one of us, to be posted in the schools. I pride myself on my capacity to perceive the transitory character of everything. An odd gift which has spoiled all my joys; better: all my sensations. It is a great force, and a great fortune, to be able to live without any ambition whatever. I aspire to it, but the very fact of so aspiring still participates in ambition. When you know quite absolutely that everything is unreal, you then cannot see why you should take the trouble to prove it. What are you waiting for in order to give up? We had nothing to say to one another, and while I was manufacturing my phrases I felt that earth was falling through space and that I was falling with it at a speed that made me dizzy. Everything turns on pain; the rest is accessory, even nonexistent, for we remember only what hurts. Painful sensations being the only real ones, it is virtually useless to experience others. Buddhism calls anger "corruption of the mind," Manicheism "root of the tree of death." I know this, but what good does it do me to know? As art sinks into paralysis, artists multiply. This anomaly ceases to be one if we realize that art, on its way to exhaustion, has become both impossible and easy. Two enemies — the same man divided. When I happen to be busy, I never give a moment's thought to the "meaning" of anything, particularly of whatever it is I am doing. A proof that the secret of everything is in action and not abstention, that fatal cause of consciousness. The more you are a victim of contradictory impulses, the less you know which to yield to. To lack character — precisely that and nothing more. This very second has vanished forever, lost in the anonymous mass of the irrevocable. It will never return. I suffer from this and I do not. Everything is unique — and insignificant. "Do I look like someone who has something to do here on Earth?" — That's what I'd like to answer the busybodies who inquire into my activities. Where are my sensations? They have melted into... me, and what is this me, this self, but the sum of these evaporated sensations? In the fact of being born there is such an absence of necessity that when you think about it a little more than usual, you are left...with a foolish grin. If death is as horrible as is claimed, how is it that after the passage of a certain period of time we consider happy any being, friend or enemy, who has ceased to live? The mind that puts everything in question, reaches, after a thousand interrogations, an almost total inertia, a situation which the inert, in fact, knows from the start, by instinct. For what is inertia but a congenital perplexity? If I used to ask myself, over a coffin, "what good did it do the occupant to be born?" I now put the same question about anyone alive. Nothing is a better proof of how far humanity has regressed than the impossibility of finding a single nation, a single tribe, among whom birth still provokes mourning and lamentations. Only one thing matters: learning to be the loser. The unfortunate thing about public misfortunes is that everyone regards himself as qualified to talk about them. My mission is to suffer for all those who suffer without knowing it. I must pay for them, expiate their unconsciousness, their luck to be ignorant of how unhappy they are. Existence would be a quite impracticable enterprise if we stopped granting importance to what has none. There is no false sensation. "What is truth?" is a fundamental question. But what is it compared to "How to endure life?" And even this one pales beside the next: "How to endure oneself?" — That is the crucial question in which no one is in a position to give us an answer. I feel effective, competent, likely to do something positive only when I lie down and abandon myself to an interrogation without object or end. Even when nothing happens, everything seems too much for me. What can be said, then, in the presence of an event, any event? Every act of courage is the work of an unbalanced man. Animals, normal by definition, are always cowardly except when they know themselves to be stronger, which is cowardice itself. "Neither this world, nor the next, nor happiness are for the being abandoned to doubt." — This point in the Gita is my death sentence. I want to proclaim a truth that would forever exile me from among the living. I know only the conditions but not the words that would allow me to formulate it. As soon as one returns to Doubt (if it could be said that one has ever left it), undertaking anything at all seems not so much useless as extravagant. Doubt works deep within you like a disease, or even more effectively, like a faith. How can you know if you are in the truth? The criterion is simple enough: if others make a vacuum around you, there is not a doubt in the world that you are closer to the essential than they are. Get hold of yourself, be confident once more, don't forget that it is not given to just anyone to have idolized discouragement without succumbing to it. The state of health is a state of nonsensation, even of nonreality. As soon as we cease to suffer, we cease to exist. To try curing someone of a "vice," of what is the deepest thing he has, is to attack his very being, and this is indeed how he himself understands it, since he will never forgive you for wanting him to destroy himself in your way and not his. We are all of us in error, the humorists excepted. They alone have discerned, as though in jest, the inanity of all that is serious and even of all that is frivolous. We must live, you used to say, as if we were never going to die. — Didn't you know that's how everyone lives, including those obsessed with Death? In the hours without sleep, each moment is so full and so vacant that it suggests itself as a rival of Time. Man is fulfilled only when he ceases to be man. When I happen to be satisfied with everything, even God and myself, I immediately react like the man who, on a brilliant day, torments himself because the sun is bound to explode in a few billion years. One disgust, then another — to the point of losing the use of speech and even of the mind...The greatest exploit of my life is to be still alive. After all, why should ordinary people want to contemplate the End, especially when we see the condition of those who do? To think is to run after insecurity, to be demoralized for grandiose trifles, to immure oneself in abstractions with a martyr's avidity, to hunt up complications the way others pursue collapse or gain. The thinker is by definition keen for torment. We regret not having the courage to make such and such decision; we regret much more having made one — any one. Better no action than the consequences of an action. "You really should come to the house — one of these days we might die without having seen each other again." — "Since we have to die in any case, what's the use of seeing each other again?" All morning, I did nothing but repeat: "Man is an abyss, man is an abyss." — I could not, alas, find anything better. Hope is the normal form of delirium. If I were to go blind, what would bother me the most would be no longer to be able to stare idiotically at the passing clouds. We live in the false as long as we have not suffered. But when we begin to suffer, we enter the truth only to regret the false. The worst is not ennui nor despair but their encounter, their collision. To be crushed between the two! When we know what words are worth, the amazing thing is that we try to say anything at all, and that we manage to do so. This requires, it is true, a supernatural nerve. To resign oneself or to blow out one's brains, that is the choice one faces at certain moments. In any case, the only real dignity is that of exclusion. Our place is somewhere between being and nonbeing — between two fictions. One does not inhabit a country; one inhabits a language. That is our country, our fatherland — and no other. Variant translation: We inhabit a language rather than a country. A word, once dissected, no longer signifies anything, is nothing. Like a body that, after an autopsy, is less than a corpse. Except for music, everything is a lie, even solitude, even ecstasy. Music, in fact, is the one and the other, only better. What a judgment upon the living, if it is true, as has been maintained, that what dies has never existed! The fact that life has no meaning is a reason to live — moreover, the only one. When you get over an infatuation, to fall for someone ever again seems so inconceivable that you imagine no one, not even a bug, that is not mired in disappointment. When you love someone, you hope — the more closely to be attached — that a catastrophe will strike your beloved. I anticipated witnessing in my lifetime the disappearance of our species. But the Gods have been against me. Only what we have not accomplished and what we could not accomplish matters to us, so that what remains of a whole life is only what it will not have been. To dream of an enterprise of demolition that would spare none of the traces of the original Big Bang. There exists, I grant you, a clinical depression, upon which certain remedies occasionally have effect; but there exists another kind, a melancholy underlying our very outbursts of gaiety and accompanying us everywhere, without leaving us alone for a single moment. And there is nothing that can rid us of this lethal omnipresence: the self forever confronting itself. Impossible for me to know whether or not I take myself seriously. The drama of detachment is that we cannot measure its progress. We advance into a desert, and we never know where we are in it. Of all that makes us suffer, nothing — so much as disappointment — gives us the sensation of at last touching Truth. To read is to let someone else work for you — the most delicate form of exploitation. To be or not to be...Neither one nor the other. If I were asked to summarize as briefly as possible my vision of things, to reduce it to its most succinct expression, I should replace words with an exclamation point, a definitive ! One grasps incomparably more things in boredom than by labor, effort being the mortal enemy of meditation. Dead of night. No one, nothing but the society of the moments. Each pretends to keep us company, then escapes — desertion after desertion. One would have to be as unenlightened as an angel or an idiot to imagine that the human escapade could turn out well. Never unreal, Pain is a challenge to the universal fiction. What luck to be the only sensation granted a content, if not a meaning! When we have no further desire to show ourselves, we take refuge in music, the Providence of the abulic. The reasons for persisting in Being seem less and less well founded, and our successors will find it easier than we to be rid of such obstinacy. In order to deceive melancholy, you must keep moving. Once you stop, it wakens, if in fact it has ever dozed off. What I know wreaks havoc upon what I want. The world begins and ends with us. Only our consciousness exists, it is everything, and this everything vanishes with it. Dying, we leave nothing. Then why so much fuss around an event that is no such thing? Without will, no conflict: no tragedy among the abulic. Yet the failure of will can be experienced more painfully than a tragic destiny. 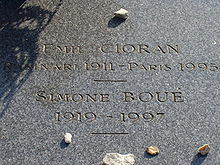 As an aphorist, Cioran has no rivals other than perhaps Nietzsche, and many of his philosophies are echoed by Ligotti. 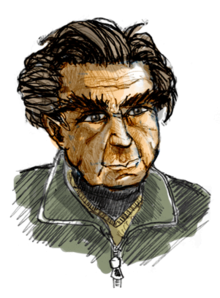 But Ligotti is far more disturbing than Cioran, who is actually very funny. In exploring these philosophies, nobody I've read has expressed the idea of humanity as aberration more powerfully than Cioran and Ligotti. Saint-John Perse from "On the Heights of Despair"
Susan Sontag in "The Temptation to Exist"
As Cioran correctly points out, a principal danger of being overcivilized is that one all to easily relapses, out of sheer exhaustion and the unsatisfied need to be "stimulated," into a vulgar and passive barbarism. Thus, "the man who unmasks his fictions" through an indiscriminate pursuit of the lucidity that is promoted by modern liberal culture "renounces his own resources and, in a sense, himself. Consequently, he will accept other fictions which will deny him, since they will not have cropped up from his own depth." There, he concludes, "no man concerned with his own equilibrium may exceed a certain degree of lucidity and analysis." This page was last edited on 7 April 2019, at 20:59.